Hormel Food of Fremont, Neb., is recalling approximately 228,614 pounds of canned pork and chicken products. The products may be contaminated with foreign matter, specifically pieces of metal. There have been reports of minor oral injuries associated with consumption of the products. The recalled products, bearing establishment number “EST. 199N” on the bottom of the can, were shipped throughout the U. S. and to Guam. 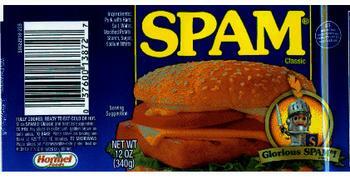 Consumers with questions about the recall may contact Consumer Hormel Foods at (800) 523-4635.